These popular filters are renowned for their ability to minimise reflection at the filter surfaces which reduces flare and ghosting. The result is an average light transmission of over 97%, giving sharp contrast and well balanced color. HOYA HMC filters are recommended for enhancing the performance of today's multicoated lenses. Reduces the excessive bluishness that frequently occurs in outdoor color photography, especially in open shade under a clear, blue sky. The absorption peak is in the range which corresponds to the film's green spectrum. This means outstanding outdoor shots with superb color balance and clarity under all conditions. Also keeps skin tones free of colored reflections from nearby objects such as the shade of trees. HMC (HOYA MULTI COATED) These popular filters are renowned for their ability to minimise reflection at the filter surfaces which reduces flare and ghosting. The result is an average light transmission of over 97%, giving sharp contrast and well balanced color. 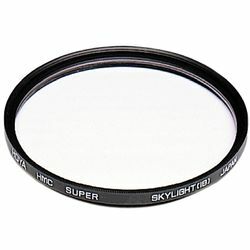 HOYA HMC filters are recommended for enhancing the performance of today's multicoated lenses.